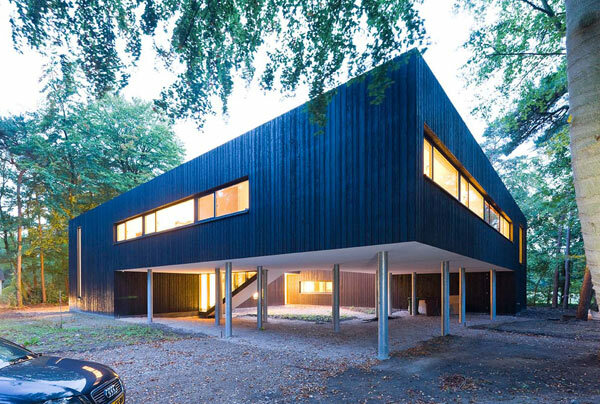 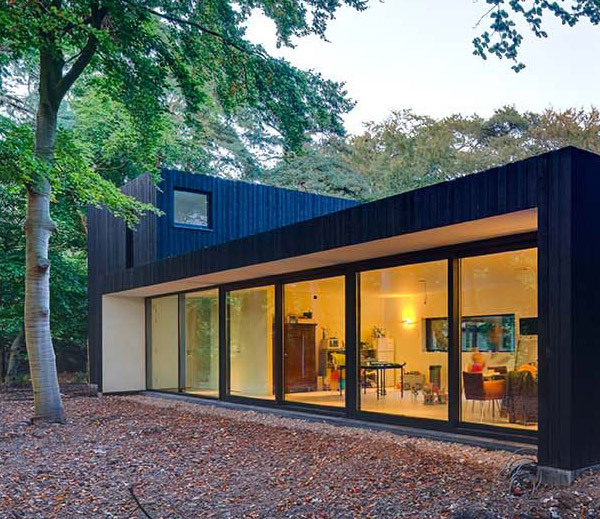 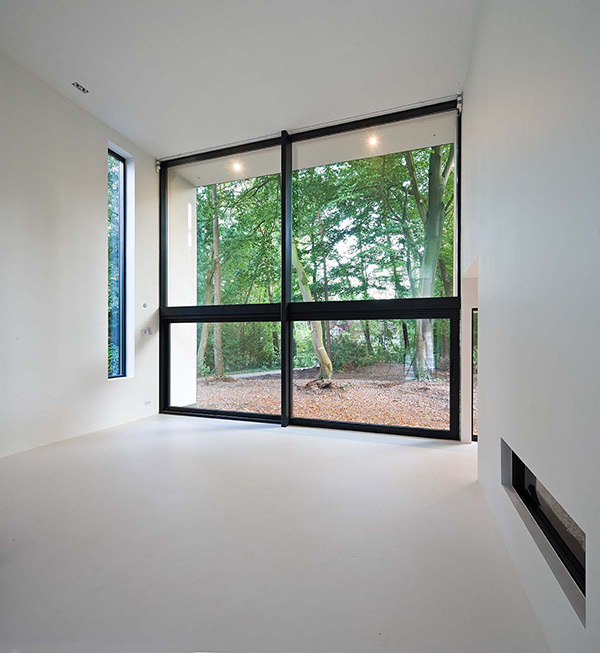 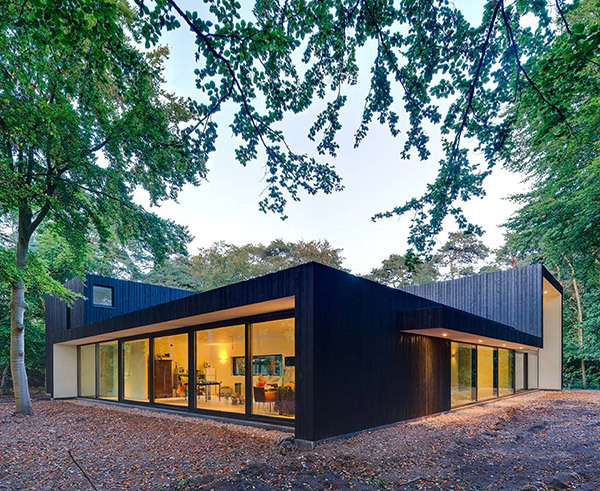 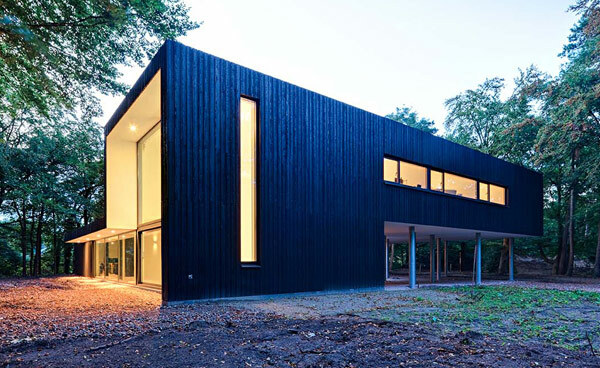 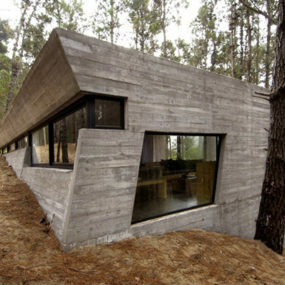 When Netherlands architecture firm Grosfeld van der Velde Architecten designed this striking forest home in Teteringen, near Breda, they took into account some important must-haves for the homeowners, namely an eco house design. 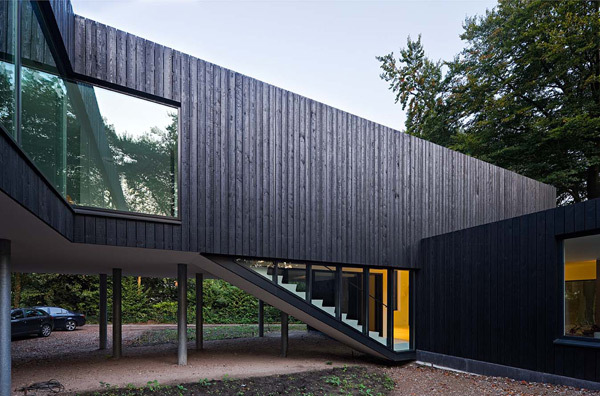 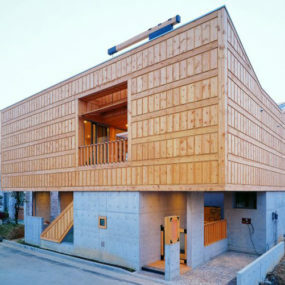 The move toward sustainable architectural design sets the tone for this project among the trees; a wood clad house that is “green” in more ways than one. 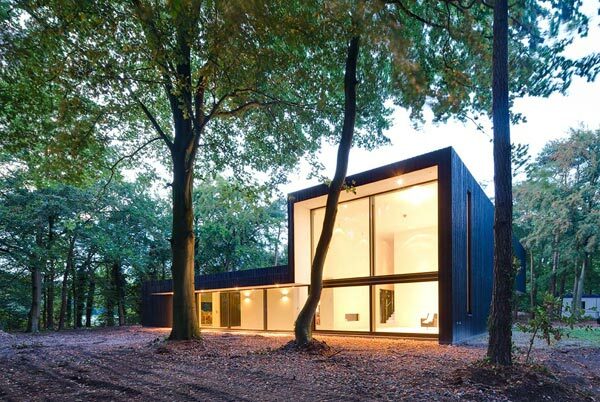 A square-shaped volume covered in black-stained wood and large expanses of glass leads you through the home’s interior while maintaining constant contact with the forest. 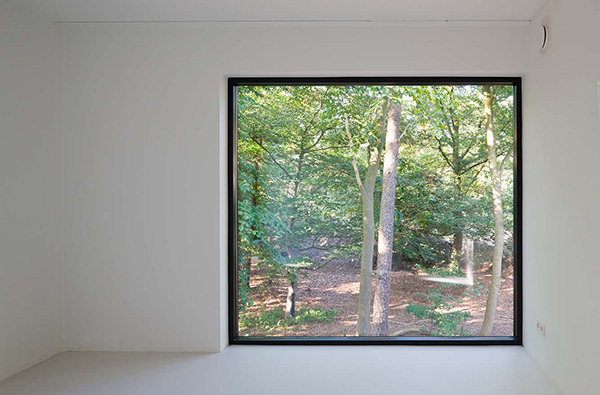 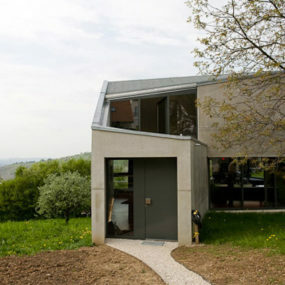 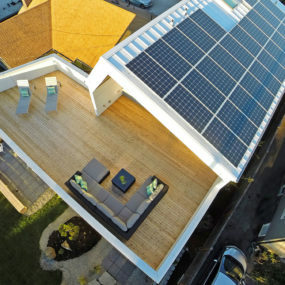 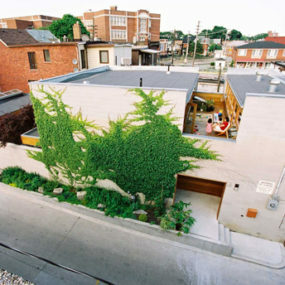 From every point in the house, views of surrounding nature dominate. 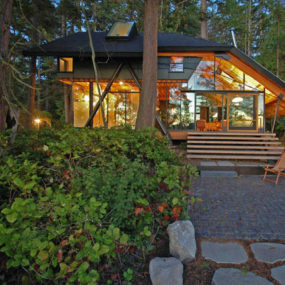 At the heart of this courtyard home plan, an open space blurs the boundary between indoors and out, letting nature permeate every inch. 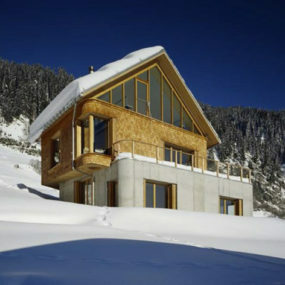 Main-floor living spaces and upper-level bedrooms provide a distinction between public and private spaces. 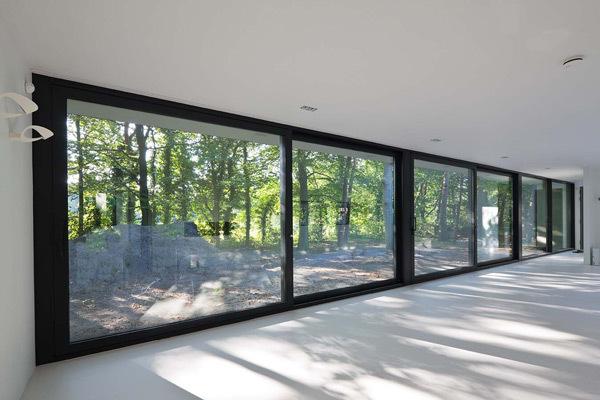 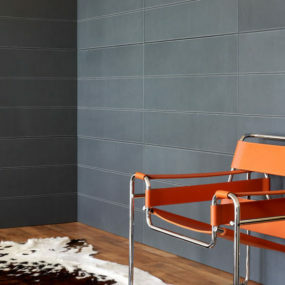 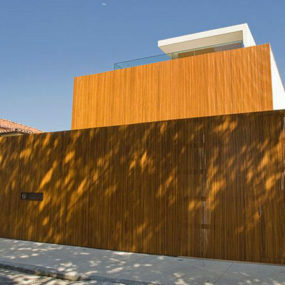 Grosfeld van der Velde Architecten.